We’ll be taking a short break this week in order to spend the Xmas holiday with family, but we’ll be back to shipping orders on December 29. In the meantime, we’d encourage you to order Word Horde from the better bookstore near you. And to fill your stocking with Holiday Horrors, here’s Sean’s interview with John Langan. What do you think the role of genre is in fiction? I think of genre as a fundamental component of narrative (and here I’m using genre as Michael Chabon does in his introduction to Maps and Legends: Reading and Writing Along the Borderlands, to indicate regions in a country, as compared to countries on a globe). It’s inescapable: every story has a context, has a set of texts to which it is related. To me, this is something to be celebrated and explored. 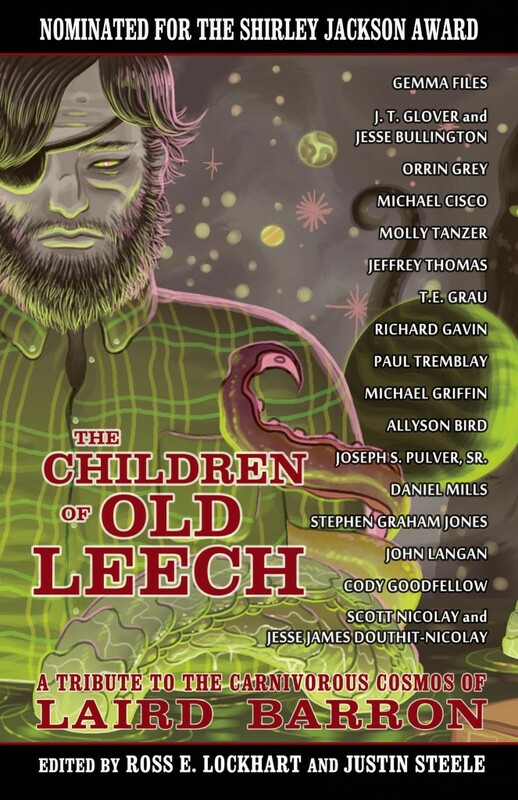 Your story from The Children of Old Leech, “Ymir,” deals with the Norse myth of, well Ymir. Do you often like to draw from myths in your work? I love myth; I love comparative mythology. No doubt, I was led to it via comic books, The Mighty Thor in particular. When I was a kid, most of the books I could find dealt with Greek and Roman myth; although there were a couple about the Norse pantheon. I picked up a copy of Edith Hamilton’s Mythology when I was eleven or twelve, and it laid the Greek and Roman myths out in order; there was also a brief section at the end about the Norse deities. Hamilton remains my go-to; though I loved Roberto Calasso’s The Marriage of Cadmus and Harmony (so much I named a character in a story after him [actually, he’s shown up in a few stories]). I suppose the differences between the Greek and Roman treatments of a figure such as Ares/Mars were what led me to an interest in comparative mythology, which was fed by reading both in other mythologies and in literary critics such as Northrop Frye, who pointed out the underlying similarities among mythic narratives. Especially given the current predominance of the Cthulhu mythos in fantastic fiction, the older myths can provide a welcome alternative narrative context. I know you can’t say a lot about your upcoming novel, The Fisherman, but what can you say about the novel? The Fisherman tells the story of a fishing trip two widowers take to a haunted river that promises to allow them one last meeting with their loved ones. In the middle of that, they learn some of the occult history of the construction of the Ashokan Reservoir in upstate New York. Terrible things ensue. I hope to have more news to share about the book in the near future. Have you ever wondered why memory works the way it does? Why some things burn themselves into your brain, but others won’t stay unless you go over them over and over? Yes, I’ve spent a lot of time thinking about memory and the way it functions. It’s at the heart of some of my favorite writers’ works: Ford’s The Good Solider, Faulkner’s The Sound and the Fury and Light in August and Absalom, Absalom!, Straub’s Ghost Story and Koko and Mrs. God. Proust and Eliot both obsess over the relationship between memory and time. The nature of memory is at the heart of the way influence functions, I think, which is one of my academic preoccupations. I did some reading of trauma theory years ago—especially Cathy Caruth’s Unclaimed Experience: Trauma, Narrative and History—as a way to approach questions of memory and influence (in light of what you might call traumatic memory, I suppose). Caruth explores the idea that it’s the very wound in your psyche that allows you to speak, which is kind of an updating of the argument that Edmund Wilson made decades earlier in The Wound and the Bow and which I’m not sure I (completely) agree with. At the same time, I think of Kirk’s declaration, in the otherwise-atrocious Star Trek V, that he won’t relinquish the pain in his life, because that’s what makes him who he is. To take things down a notch, it may very well be that the things that lodge in your memory, from annoying tunes to bits of dialogue to images you can’t place, are part of the material from which you construct yourself. Do you consider yourself a weird fiction author, a horror author, or do you simply think of yourself as an author? 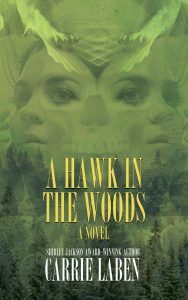 I think of myself as a writer working within the horror tradition. If someone wants to call me a horror writer, I’m fine with that. I’m also fine with being called a weird writer; though, to be frank, much of what has been included under the weird umbrella strikes me as a semantic fig leaf, horror writing looking to rebrand itself with a more appealing name. I remember hearing in passing that you, sir, are a fan of comic books. What are some of your favorites, and do you think that comics have influenced your work in any way? Comics played a foundational role in my development, first as a reader, then as a writer. I became interested in comics during the seventies, when Marv Wolfman and Roy Thomas were working on The Amazing Spider-Man and Conan the Barbarian, respectively. I followed Wolfman’s work on Spidey, The Fantastic Four, and then The Teen Titans and Night Force; recently, I picked up the black and white reprints of his and Gene Colan’s Tomb of Dracula. During the later seventies, there were paperback reprints of the first issues of The Amazing Spider-Man and The Fantastic Four, and this introduced me to Stan Lee and Steve Ditko and Jack Kirby. When I was a little older, I discovered Alan Moore’s work on Swamp Thing, which led me to The Watchmen, V for Vendetta, and pretty much anything by Moore I could get my hands on. In more recent years, I’ve been a fan of Gaiman’s Sandman, Mike Carey’s Lucifer and Unwritten, and Bill Willingham’s Fables. The entire run of DC’s Hellblazer was probably my single favorite comic, ever: pretty much every writer who worked on it rose to the occasion and produced some of their best work, ever. Lately, I’ve been reading Eric Powell’s The Goon, which I love for its astonishing, Bernie-Wrightson-esque art, and for the way it swerves wildly between raucous comedy and utter pathos, and the books in the Hellboy universe, especially The B.P.R.D., which seems to me unparalleled in its portrayal of a world dealing with the consequences of an ongoing apocalypse. I could talk about comics all day. As to how they influenced me: when I was younger, I aspired to work in comics, first as an artist, then as an artist-writer. I think the Marvel comics I was reading when I was very young showed what you could do if you brought a relative degree of realism to your fantastic situations, if your superheroes struggled to balance their private and public lives, if they operated in a world something like ours. At their best, those Marvel books are master-classes in melodrama. Alan Moore’s work built on all of that, deepening the characters’ psychologies and thinking through the implications of their powers and places in the world more thoroughly. Gaiman, Carey, Willingham, and the Mignola crew constructed elaborate mythologies that they followed through long, intricate narratives. How much of a role do you think where you live has to do with the type of fictional landscape you choose to create? It would seem it has to have some connection, wouldn’t it? In my own case, I wonder how much my use of the mid-Hudson Valley in my work has to do with the fact that this is where I was living when I started to read those writers who made use of their particular places, Stephen King and William Faulkner (though I’m pretty sure I was planning a comic book set in this region before that, so maybe I’m wrong [or maybe I was responding to Stan Lee et. al.’s use of Manhattan and its environs…])? And yet, there have been places I’ve been to, Glencoe in Scotland, the varied landscape of Kentucky, that struck me the moment I saw them, and that have stuck with me since then. It’s funny, Simon Schama wrote an interesting book, Landscape and Memory, that touches on a couple of these interview questions. Thanks for stopping by. Long live the Word Horde. 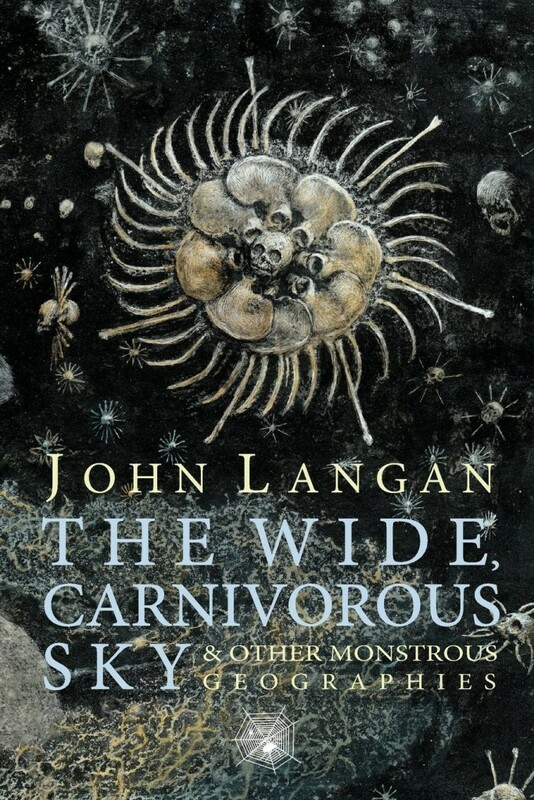 For more on all things John Langan, visit his website, or, better yet, read one (or more) of his books.